April 1, 2019. OTTAWA. 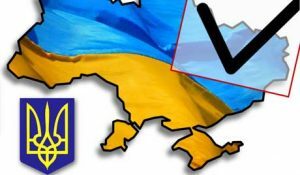 The Ukrainian Canadian Congress (UCC) was pleased that the Presidential elections in Ukraine on Sunday March 31, 2019 proceeded in a fair and free manner and met international standards for democratic elections. “UCC was pleased to see voting take place in a peaceful atmosphere in Ukraine and at voting locations in Canada,” said Alexandra Chyczij, UCC National President. “We are very thankful to all the Canadians supporting the democratic process in Ukraine this year, and in particular to the team of elections observers currently deployed across Ukraine,” said Chyczij. At the time of writing, Ukraine’s Central Election Commission reported that 95% of the ballots had been counted. Three candidates received above 10 percent of the total vote: Volodymyr Zelenskiy—actor and political novice—received more than 30 percent in voter support; incumbent, President Petro Poroshenko is in second place with 15 percent; followed by former Prime Minister Yulia Tymoshenko with 13 percent. Since none of the candidates received more than 50 percent of the votes in the first round the top two candidates will advance to the second round, which will take place on April 21, 2019. Ukraine’s Central Elections Commission must finalize the results within ten days. The top two candidates will then be officially registered to run in the second round. With less than four percent of the ballots left to be counted, it is fair to assume that Zelenskiy and Poroshenko will be competing for the electoral votes in three weeks time. Earlier today, Head of Mission Canada Lloyd Axworthy issued a Preliminary Statement of Findings on the 2019 Presidential Election in Ukraine. His preliminary assessment is that the elections were fair, met international standards for democratic elections, and should generate confidence in voters. Mission Canada observers visited 841 polling stations to observe the voting, counting of ballots and the transmission of results. The Ukrainian World Congress (UWC) is also leading an election observation mission. “The process of expressing political will during the presidential election was transparent and democratic,” stated Eugene Czolij, Head of the Ukrainian World Congress (UWC) International Observation Mission in Ukraine during a press conference at the Ukraine Crisis Media Centre. Despite a few isolated violations, that were not systemic, UWC highlighted that the elections met international standards and reflected the will of the Ukrainian people. In addition, the UWC Mission confirmed numerous disinformation attacks employed against Ukraine by the Russian media as an element of its ongoing hybrid war against Ukraine. Here is a link to the results of the first round of the presidential election that took place on March 31, 2019. UCC strongly encourages all eligible Ukrainian voters in Canada to register to participate in the second-round of elections on April 21, 2019. Anyone eligible to vote in the second round on Sunday April 21, 2019 should verify their registration status no later than the end of day on April 10, 2019. On April 21 three polling stations will be open in Canada from 8:00 am to 8:00 pm local time in Ottawa, Toronto, and Edmonton. The UCC has organized election observers, accredited by the Ukrainian World Congress, at all three voting locations in Canada.